Ready for the parade with our hosts in Bonn! 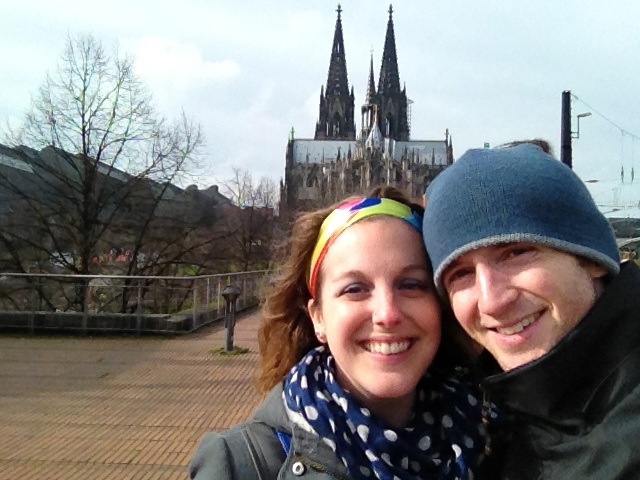 Brian and I were recently in the German state of North Rhine-Westphalia (this includes Cologne, Bonn, and Düsseldorf, most notably) to celebrate Karneval (or Fasching, or Fasnacht, or Mardi Gras, depending on where you come from), and it was… an experience. Before I delve into our trip specifics, here’s a quick lesson about this holiday, known as the fifth season here in Germany. Most of the facts listed below come from German-way.com, but the stories are my own! Here in Freiburg (and the rest of Baden-Württemberg and Switzerland), residents call it Fasnacht, which is based on the Old German word “fasen,” meaning to be foolish, silly, or wild. Whatever you may call it, it refers to the same pre-Lent observance, but where the celebration is in Germany dictates different traditions. 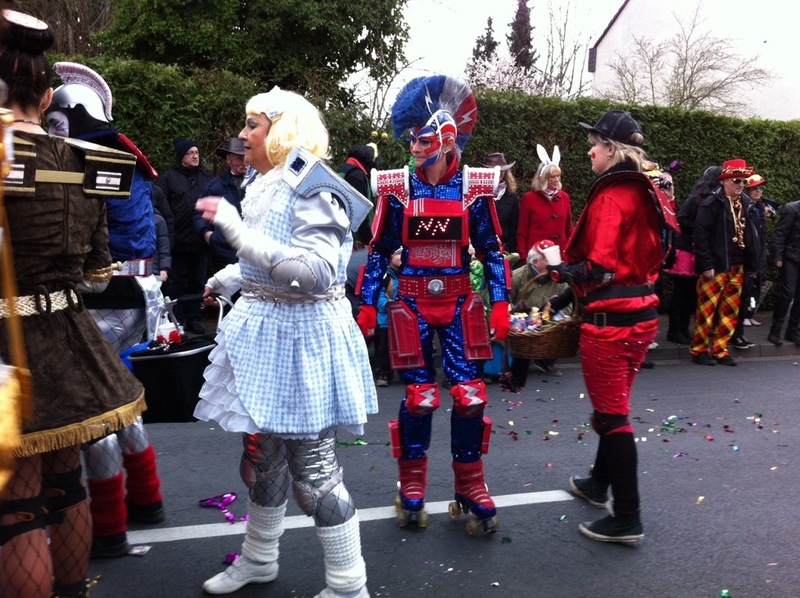 Karneval is apparently noted for its political and social parody, whereas the emphasis in Fasching and Fasnacht regions is on traditional masks, and dressing up as devils, fools, and wild beasts. 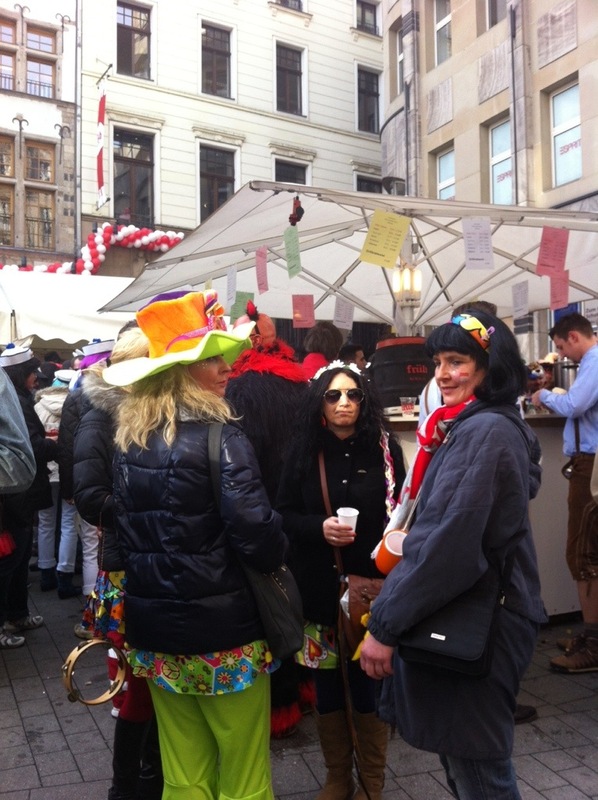 There are costumes in Karneval as well, but they are much more varied. While there, I noted that some of the most popular costumes were of American military men (specifically Air Force pilots), the FBI, and American football players. Don’t ask me why! 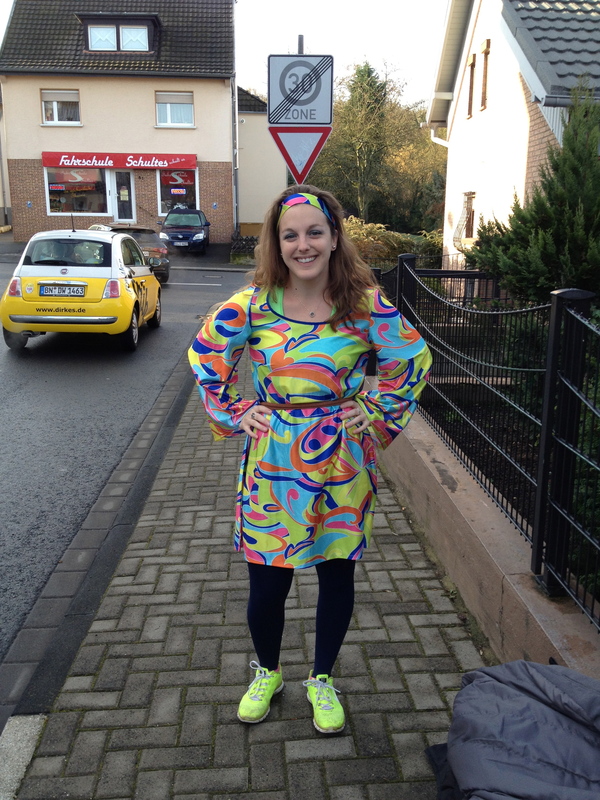 Anyway, we wanted to go to Karneval in Cologne because we had heard that the celebrations are craziest there. I am very glad we gave it a shot, but I will not be going back for these celebrations any time soon. Brian describes it best, calling it Halloween and Spring Break all rolled into one. While I love a good costume and a good beer, it was overwhelming and somewhat of an assault on the eyes and ears (and actually, on the nose, too… the whole city seemed to reek of stale beer). 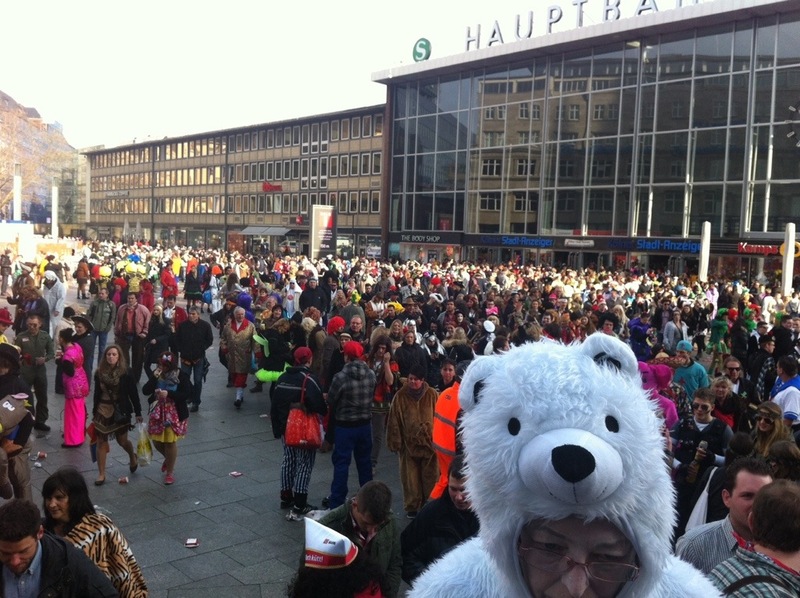 The crowd outside of the Cologne Hauptbahnhof (main train station). 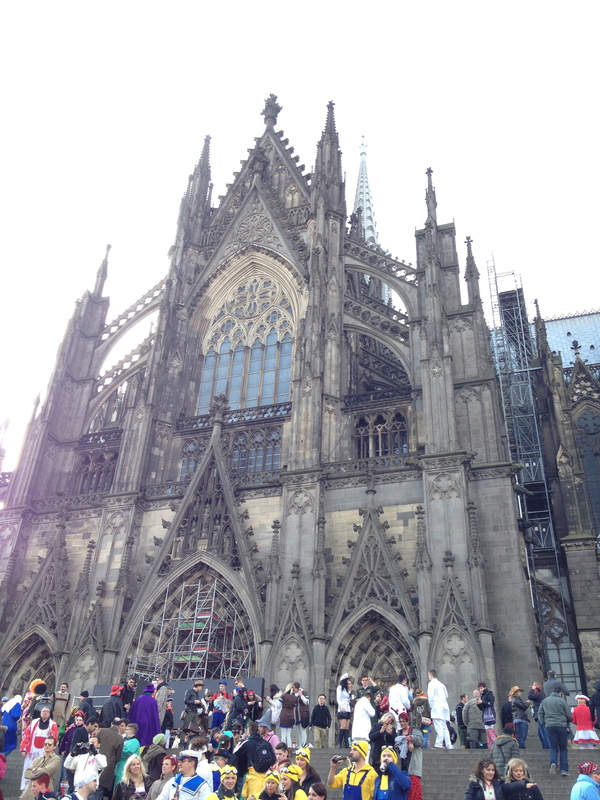 The Cologne Cathedral in all of it’s immense glory (with the costumed crowds). We decided to take a stroll to get away from the crowds. 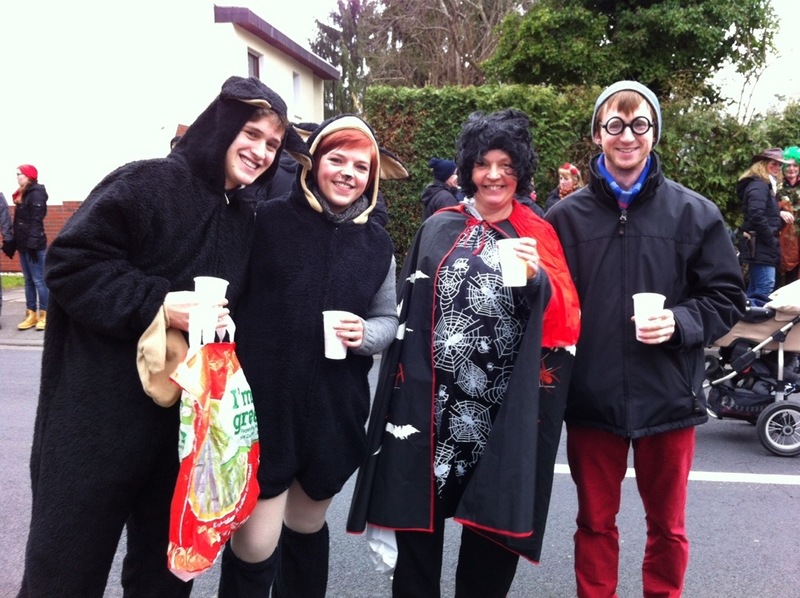 Contrastly, we went to a small Karneval parade in the neighborhood of Holzlar in Bonn (where our Couchsurfing hosts lived), and we had a blast! They taught us that if we yelled “kamelle, kamelle!” people riding on the parade floats would throw candy at us (and they had good aim – we got smacked in the head with multiple varieties of hard candy, including mini Mars bars). Next time I will wear a helmet, but I digress. 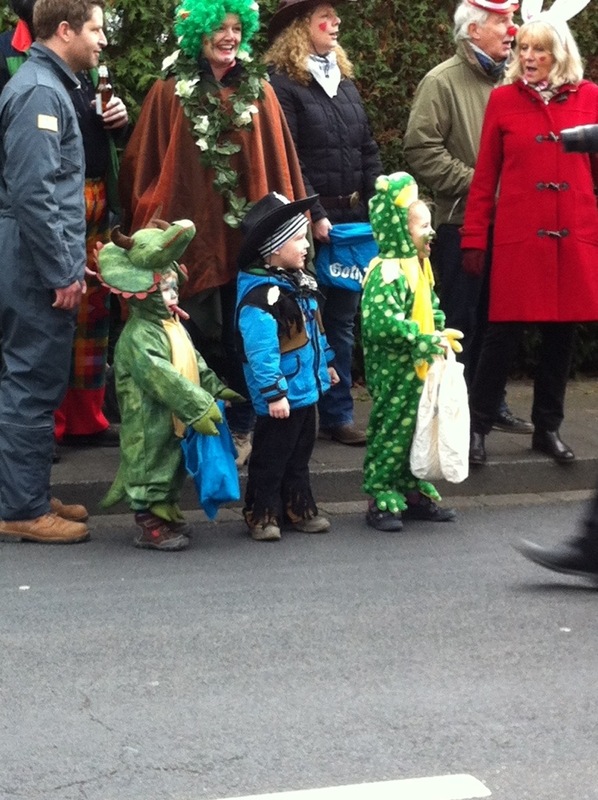 Adorableness at the Bonn parade. 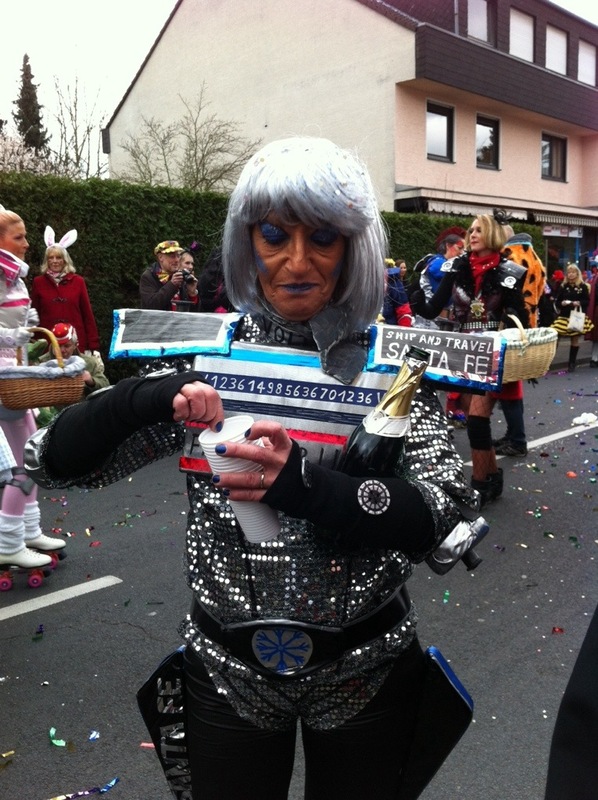 This woman was handing out small cups of champagne but wouldn’t give me one… =( I must have looked too young! 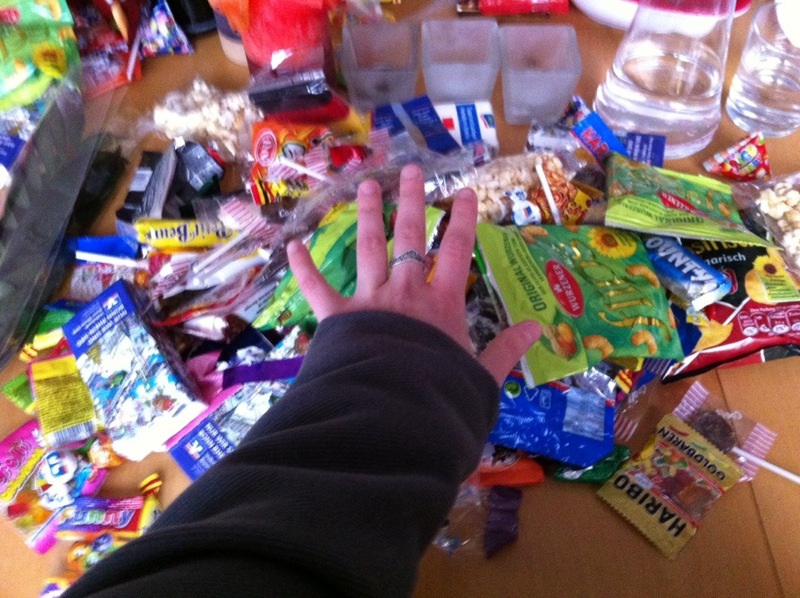 I swear there was more than a kilogram (2.2 lbs) of candy here. Oh, and tissues and bags of popcorn. They give out weird things! We dressed up because when we went to Munich for Oktoberfest this past year, we felt ridiculous for NOT wearing Lederhosen and Dirndls (traditional German outfits). So we figured we’d better partake this time, and I’m glad we did! 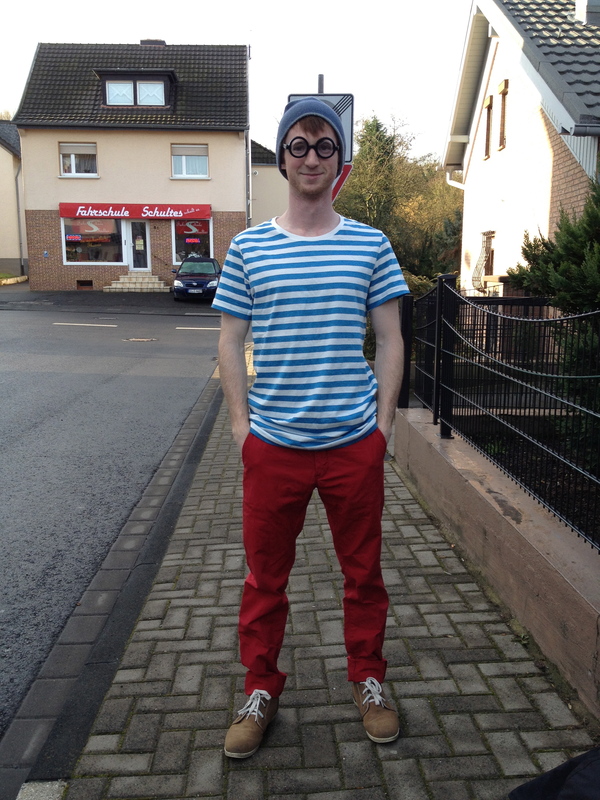 Brian dressed up as (inverted) Where’s Waldo.